Day ten. 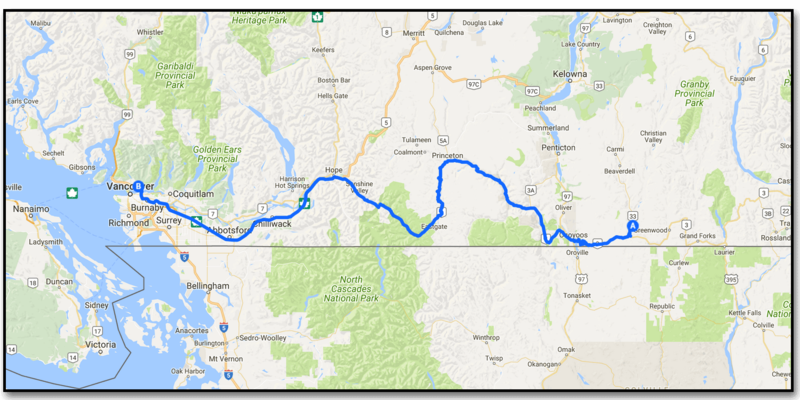 Kettle River to Vancouver, a long day of driving as Richard makes the push on to Vancouver and Jon starts his bike ride from Hope to Kelowana. After a hot afternoon in Kettle River it dawned cool and smoky. Had breakfast at the campsite, packed up and left. Dropped Jon off in Hope at around 13:00 and pushed on to Vancouver and arrived by 15:00 to our Air BNB in North Van. Jon texted me yesterday evening and said the air quality is too poor for riding in BC, so we are trying to figure out what to do and possibly re-schedule our BC portion of our trip. I am in Vancouver until Wednesday, August 16, so there will be no updates until next Wednesday evening. Set up Torguard VPN for Transmission on Freenas 11.1 – Updated for 2018! © 2019 Welcome to Myriad.ca.